Do you like to read? More to the point, do you get the time, peace and quiet to read undisturbed? If you’re answering yes to the first of those questions but struggling to come up with memories of a few silent moments alone then perhaps you should create a space that will bring that dream to life. With our reading nook ideas, you can cast the perfect light on your perfect literary paradise in a bay window. 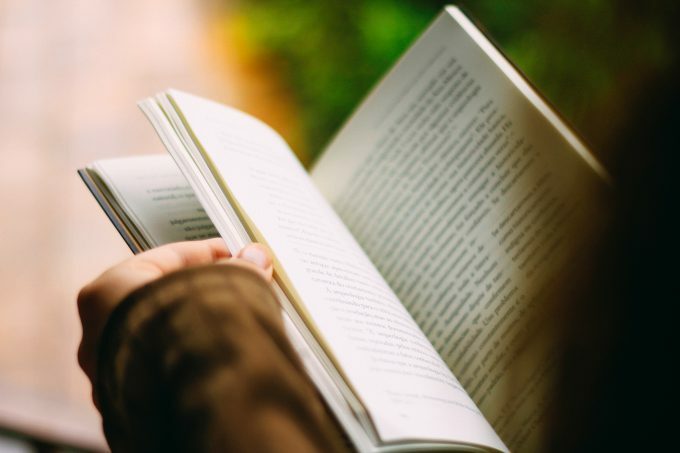 Whether it’s on a screen or with a good old-fashioned paperback in your hand, reading is one of life’s great pleasures. With time and solitude at such a premium, a space you can call your own is worth its weight in gold. In the UK small properties are becoming more and more common, so, rather than turning a whole room over to your book habit, try dedicating a corner to your page-turners. If you’re blessed with a bay window – something well-lit and with a nice view if you’re lucky – then you’re already well on the way to setting up your own reading nook as this can be the perfect place to set up your reading nook corner. Once you’ve identified which window you’d like to make your reading window, you should spend a bit of time planning what you want to get into your nook. Can you convert the window sills into a seat, or would you just like to take advantage of the natural light to place another seat there? Then there are lots of options under an extended sill – a cupboard or shelves for your books, tea pot, and other reading essentials. You won’t be reading for long without good lighting – and good light insulation. Natural light is wonderful, but no-one wants to be squinting, so managing daylight through adjustable shutters are a great option. When it’s dark you’ll want a good quality reading light so you can finish that chapter before bed without straining your eyes. Your nook needs to be comfortable above all else, and that means great seating. This might mean making a window seat – that is converting your windowsills into seating – or it might mean buying something that sits well in the space that you have. Working with what you’ve got is almost always cheaper and simpler than building something new. If you have wide windowsills then use them as the base for soft cushions or as a back for a lower bench-style seat. A bay window is also a great space to position a sofa into. Keep it low to make the most of the available light, and if you’re feeling really decadent take a look at antique couches or chaise longues – junk shops, upcycling or even skip-crawling can make this a budget option. Alternatively, sit a chair in the compass of the window. Remember that you want to separate this space and make it something special, so keeping your chair close to the window helps create that special environment. You’re making this space to enjoy books, so why not make it a shrine to books? They can look great, help to signal the purpose of your special space, and there’s no more convenient place to keep them. If you’re going for a reading nook with extended sills, then you can use the space underneath either as cupboard or shelved storage. If you want cupboards to reduce the clutter then you can either hinge the seat or build doors into the room-facing side of your construction. A window seat built across a bay window gets its strength from a good quality timber frame, so the choice between shelves or cupboards shouldn’t be a matter of structural integrity. A good-quality wooden frame built with strong cross pieces at the top and bottom will give you the choice of closing off the front with cupboard doors or using open-faced shelf storage, the perfect home for your books. Natural light is the healthiest, most relaxing way to read, and it’s traditionally why a window seat was so prized by readers. So make the most of this precious natural resource in your library corner. Our shutters are easy to clean and maintain and offer the best control of lighting conditions you can find. A good, solid physical barrier also helps keep noise out and helps you feel warm and secure when the sun does go down, and shutters have been known to improve heat insulation. When the night falls you will need artificial light, and here you should follow the latest scientific advice to keep your eyes healthy. Don’t feel you need to spend hundreds of pounds on a specialist “reader’s light” though – not that they aren’t lovely if you have the budget – as a lot of the work is done by your choice of bulb. Bulb colour will help you set the mood. Reds for a warmer, more intimate feel; bluer shades are brighter and cooler. Daylight bulbs are a favourite of some readers. Light is measured in lumens and you need between 250 to 500 lumens per square metre for comfortable reading. (If you’re going to use your reading nook for fiddly crafting too – sewing or drawing – then you need up to 2,000 lumens per square metre.) Indirect lighting – from a source somewhere behind you – is probably more comfortable. However, this is not an exact science, so a bit of trial and error and trips around lighting stores is probably in order. If you have an eye on your bills then cexplore LED lighting, which is easily the most energy efficient currently on the market. The good news for your pocket is that keeping the rest of your room dark will help your eyes in a bright reading nook. Drapes, wall shades and shutter colours all impact how the atmosphere of your space and the light that will be bounced around your reading nook so keep this in mind as you decorate and accessorize your reading corner. The most important thing is that you keep your space light and bright enough for you to read without over-stretching your eyes and comfortable so that you support your posture. A bay window reading nook is relatively easy to put together. If you’re not up to the job yourself, it’s something that shouldn’t break the bank to order from a good local tradesman. But it’s the personal touches that make it special, from window dressings to favourite cushions, and even if you can’t manage Victoria Woolf’s famous “a room of one’s own” you should be able to command a corner you can call home. 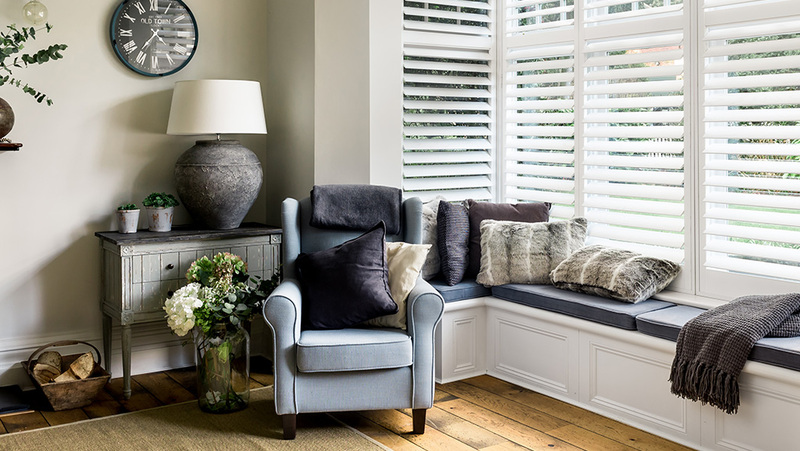 There’s no window Shutterly can’t make look fabulous, so get in touch if you’d like to discuss getting shutters for a reading nook, living room or any other areas of your home.